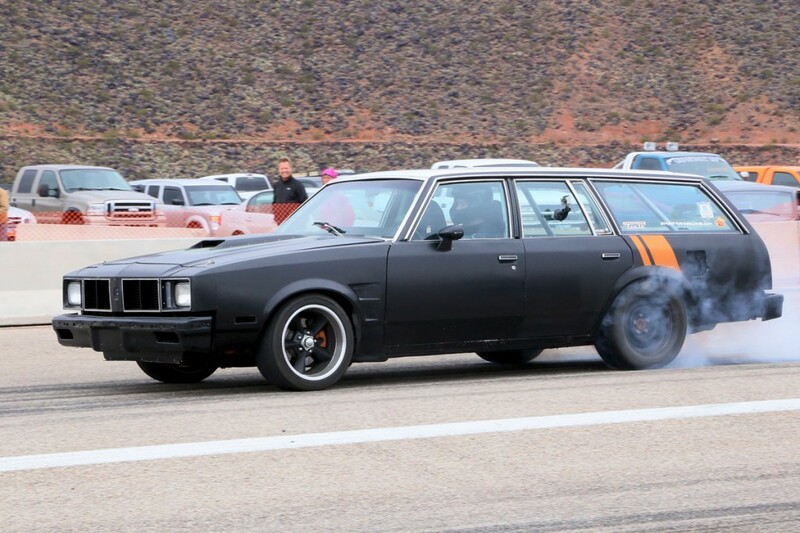 ST. GEORGE – Saturday morning’s rain did not did not deter racers or spectators but caused some change-ups in the nature of the racing at the season opener of the BlackRock Motorsports Drag Race at the Ridge Top Complex, 998 South Airport Road in St. George. 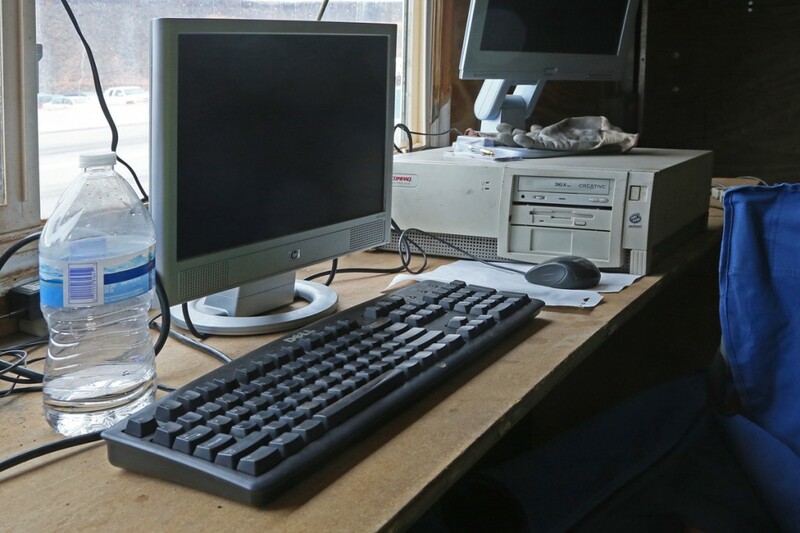 The rain played havoc with the 25-year old electronics that are used to time the racecars as they go down the measured quarter-mile drag strip. So, without any electronic timing available, the weekend became old-school arm-drop drags with no real winners or losers. 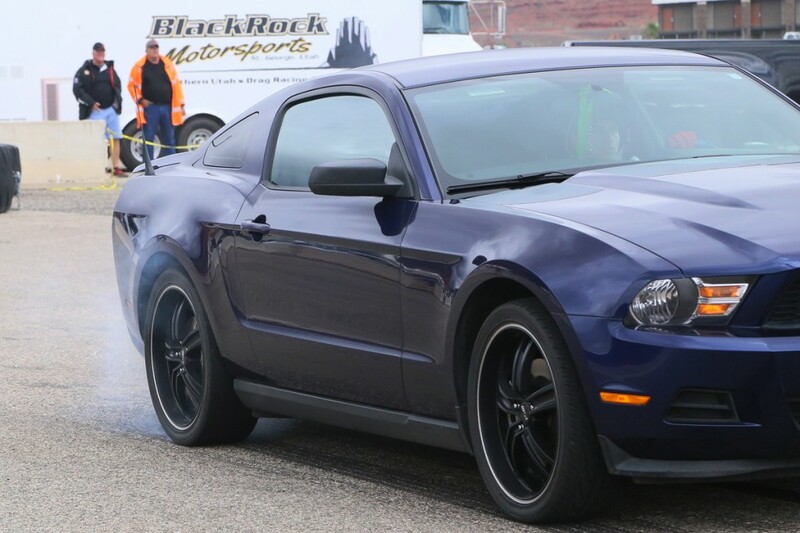 Anybody that has a driver’s license and has access to a car that will pass a standard safety inspection can race in the BlackRock Motorsports drag races. 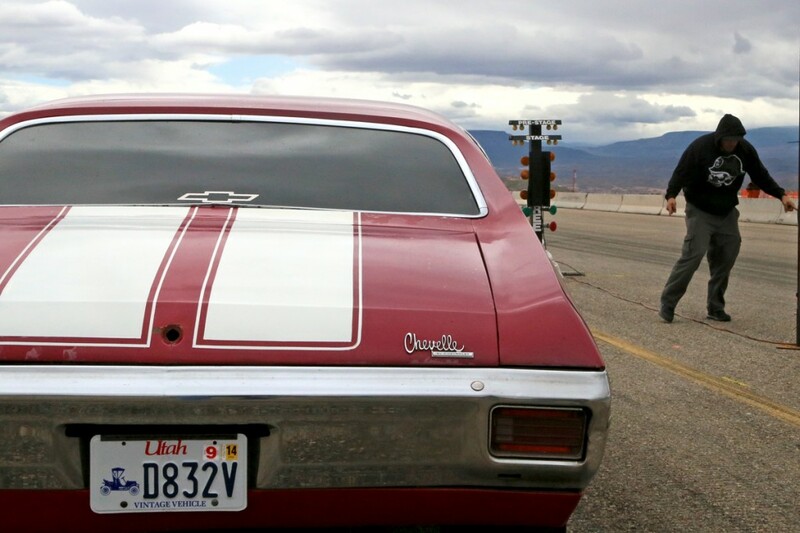 The drivers can run as many passes down the quarter-mile as they want and can pick whomever they want to race against in a safe and controlled environment. 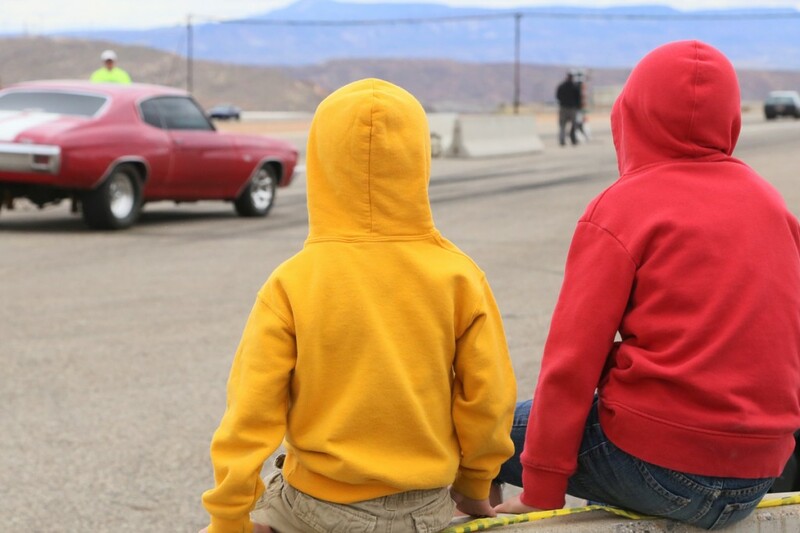 BlackRock Motorsports with the help of sponsors St. George Lions Club and Speedtech Performance, as well as Bryce Christensen Excavation, are working together to bring drag racing to Southern Utah, building the event into something that will be good for St. George. 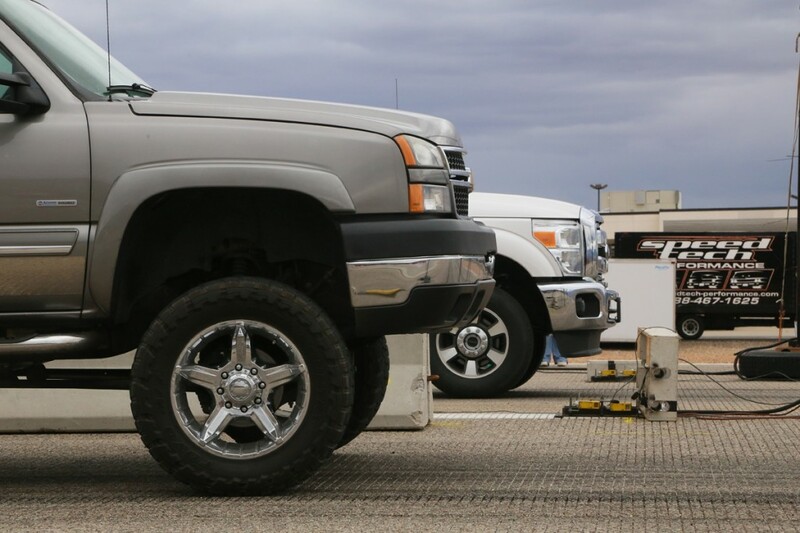 The surface of the runway is ideal to land planes on but it is not the best surface to get the best traction for drag race cars to get a quick start. Future plans include milling down 200+ feet of the starting area and pour a concrete base. This will enhance both the performance of the cars and improve the safety of the competitors. Lions Club offered hot dogs and hamburgers. Komatsu of Utah in Hurricane provided a sweeper to prep the track before the races and to help dry the track after Friday night’s showers. 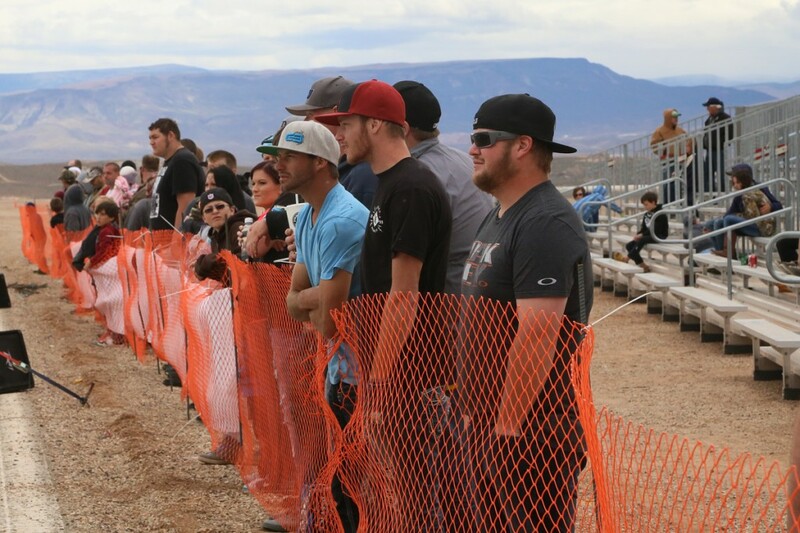 The City of St. George provided bleachers for the spectators. Sunday’s weather looks like it will be substantially improved with racing set to resume at 10 a.m. Tech inspection starts at 9 a.m. Registration to race on Sunday is $20. Spectator admission is $5 per person or $20 for a family pass. Children 10 and under are free. The next race is scheduled for the end of May with two more later in the year. Originally from Iowa, John Teas transplanted to Saint George in 2012 from New Mexico. John is a photojournalist and feature writer for several automotive publications, educational media and corporate public relations as as St. George News. “I have a degree in life experiences and a love of all that is outdoors,” he said.